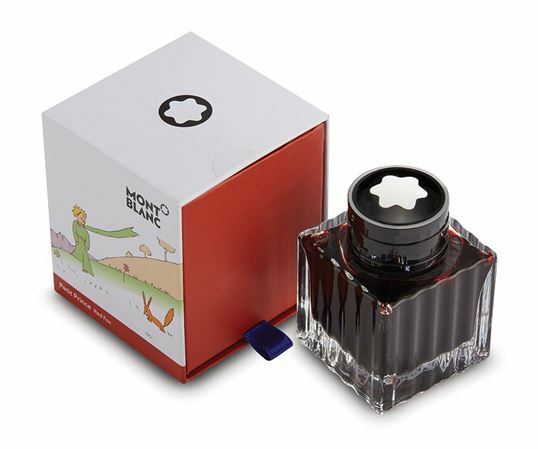 Order your Montblanc Le Petit Prince & Fox ink Bottle 50ml Orange today from FahrneysPens.com. Fine Pens, Refills & Luxurious Gifts – great prices & fast shipping. The Le Petit Prince ink bottle, in orange, is inspired by the fox, a key character in the novella by Antoine de Saint-Exupery. Focusing on the importance of bonding and the deep relationship between Petit Prince and the fox, this Montblanc series is a marvelous addition to Montblanc collection of pens and stationery.